The Contractors choice for cost efficiency, these units provide the power, convenience, dependability, and time saving features you have come to expect from all M.D Manufacturing units since 1961. The M80 is an ideal unit for homes under 3,000 ft2 / 278m2 and has a 5 gallon disposable Microfiltration bag. 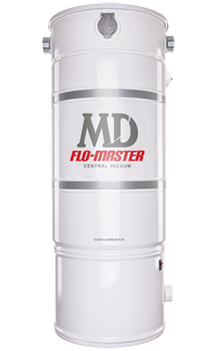 The Flo-Master M80 is constructed of powder coated steel and comes with a 3-year warranty. 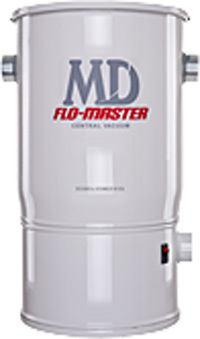 Central Vac and MD Manufacturing, "a perfect combination" for a central vacuum system.